Most of us want to look as youthful and vital on the outside as we feel on the inside. But without realizing it, we may be appearing older than we need to. • Cut back on the black. Wearing all black is certainly stylish, but as you age, it can make dark circles under the eyes and facial wrinkles appear even more pronounced. It’s better to wear bright colors, which instead convey a sense of youth and vibrancy. You don’t have to cover yourself from head to toe in loud colors to accomplish this. Just add a dash of color, ideally near the face or neck where it will draw people’s attention up toward your eyes. People are more likely to consider you as an individual—and less likely to judge you based on your age—if they make eye contact with you. A brightly colored scarf or necklace is a good choice for women…a brightly colored tie, pocket square or polo shirt for men. Alternative: If you prefer to wear muted colors, not bright ones, at least replace black garments with navy, cranberry, charcoal, brown and olive. • Stop wearing worn garments. Teens and 20-somethings can get away with wearing threadbare or vintage clothing. But when older people wear past-its-prime clothing, it makes them seem old and past their prime, too. Once an item of clothing goes out of style or starts to show wear, it’s time to stop wearing it, at least in public. • Buy clothes that fit the body you have today. Some people are so used to wearing clothes of a certain size that they go right on purchasing that size even as they age and their bodies change shape. Other people intentionally buy baggy clothing because they think it will hide the physical imperfections that inevitably come with age. In reality, wearing clothes that do not fit properly only calls additional attention to physical imperfections. When you try on clothes in a store, take your usual size along with one size larger and one size smaller into the fitting room, then purchase whichever fits best, regardless of what size you thought you were. If you’re not great at gauging fit, shop with a friend who knows a lot about clothes…or ask a store employee for assistance. Also: Women should get a bra fitting—and purchase new bras if necessary—at least once a year. Women’s bra sizes often change as they age. • Take a look at your eyeglasses. These days, wire-frame glasses seem old and dated, which can make their wearers seem old and dated, too. Consider switching to more fashionable ­plastic frames, either black or colored. If that doesn’t fit your personality, switch to rimless glasses. Also: If you wear bifocals (or ­trifocals), try switching to progressive lenses. These serve the same purpose but without that line across the lens that often is associated with old age. • Avoid being too “matchy.” Carrying a handbag that matches one’s shoes was once considered stylish. These days it is associated with older women—young women tend to prefer a more casual, unmatched look. If you own sweater sets, break them up. • Skip the turtleneck. Some people think wearing a turtleneck will hide the sagging neck that often comes with age. But turtlenecks actually call attention to the portion of the saggy neck and jowls that still can be seen. Instead, women should consider wearing V-necked or scoop-necked shirts that visually extend the length of the neck—then add a brightly colored necklace, scarf or high-collared jacket. Men should opt for collared shirts. • Apply sunscreen to your hands. You probably already know that using sunscreen regularly on your face can help you look younger. The moisture in the sunscreen gives older, dry skin a moist, younger look, and the UV protection limits age spots and other skin damage that is associated with age. Also, sunscreen prevents a deep-tan look, which appears old and out-of-touch in today’s skin cancer–conscious society—a light tan is fine…too dark is dated. What many people do not consider is that sunscreen should be applied to the backs of the hands in addition to the face. Wrinkled, dry, heavily tanned or age-spotted hands can make people appear old even if the skin on their faces still looks young. Spots on the hands are one of the first signs of aging. Men who are losing their hair or are already bald should apply sunscreen to the scalp…or they can wear a baseball cap or a straw fedora, which are stylish and youthful options. Sunburn, flaking or overall redness will draw attention to your head and make you look old. Helpful: Recent research suggests that “broad spectrum” sunscreens that protect against UVA light, in addition to the UVB associated with sunburns, are particularly effective in combating the aging effects of the sun. Also: Stay hydrated. Drinking eight eight-ounce glasses of water each day can help your skin maintain the moist, dewy glow that is associated with youth. • Strong arm yourself. Toned arm muscles can help you look younger—but which muscles you should target varies by gender. Consider working with a trainer to learn the best exercises for you. Women: Sagging biceps and triceps in the upper arm can make women look old. Exercising with dumbbells is the best way to tone these. Start with very light dumbbells if necessary—even two-pound weights can make a difference. Do bicep curls, hammer curls and tricep exercises several times a week. Men: Broad shoulders help men continue to look young and powerful as they age. Bench presses and/or push-ups help here. • Stand up straight. Hunching over makes people seem old and wizened. Sitting or standing with your back straight and your shoulders back conveys an air of youthful strength and confidence. Tip: If you find it difficult to maintain proper posture, take a Pilates class. Pilates is an exercise regimen that ­focuses on core strength, which is crucial for good posture. • Trim facial hair. Women should be on the lookout for long, stray hairs and pluck them. Having a beard doesn’t make a man look old—even if the beard is gray—but having an unkempt beard does. Trim your beard at least once a week, and shave your neck and around the other edges of the beard every day. Also: Trim nose hair, ear hair and bushy eyebrows frequently. Excess hair in these areas doesn’t just look sloppy, it is associated with old age. Ask your barber to trim your eyebrows when you get a haircut if you’re not confident in your ability to trim your own brows properly. summer style and travel must-haves! 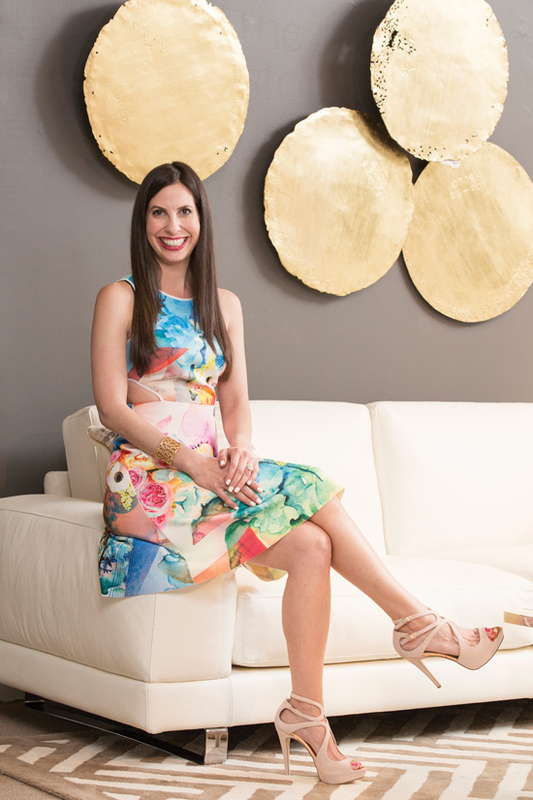 Lauren Rothman, fashion expert and author shares her must-have travel essentials from Bloomingdale’s Tyson’s Corner and dishes on her upcoming projects. 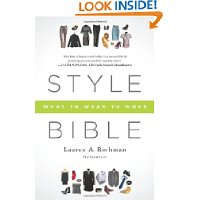 Speaking to companies about executive presence and the importance of a first impression (“dress to turn heads, not to stop traffic”), Rothman found that there was a lack of literature to help reinforce her teachings when she was unable to follow-up in person. “There really wasn’t a comprehensive guide … especially something that talked to men as well as women, from intern to CEO,” she says. Follow us on Twitter Stay connected! Like us on Facebook Read daily style tips! View our videos on YouTube Watch Lauren on TV! Find us on Pinterest Shop your closet! View our profile on LinkedIn Network!